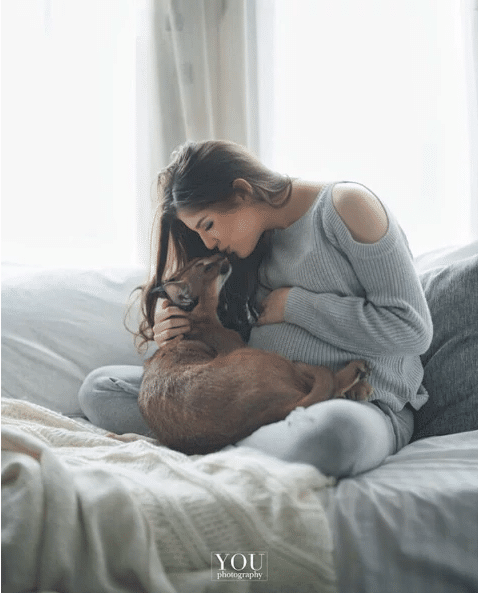 Cat lovers around the world would love to think their cat is the cutest and most loving cat around. Each and every species of cat has its own features and qualities that are unique to the breed. There is a huge list of cat species breeds with some inherent qualities that make them likeable for their owners. 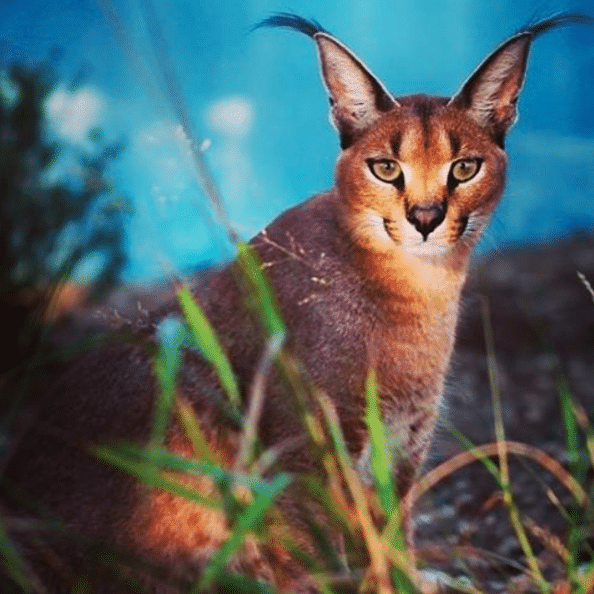 The following is the list of facts about the Caracal cats that you will find it very interesting to read. 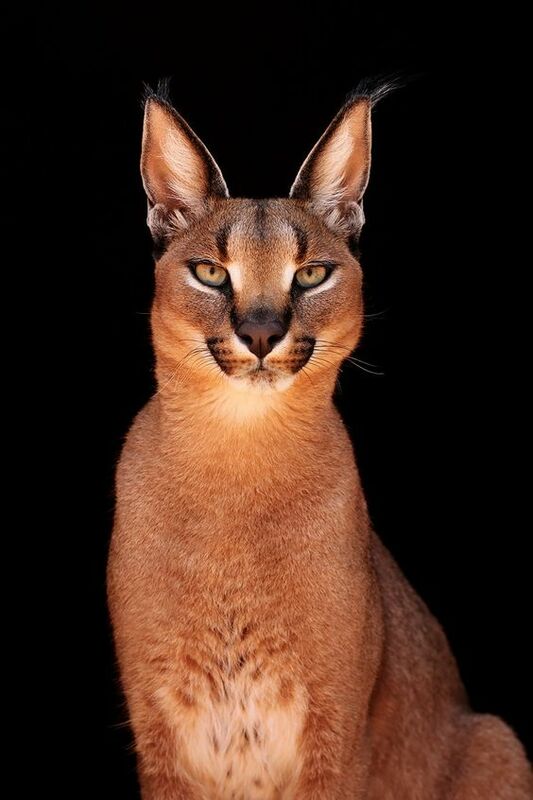 The Caracal cat is often referred to as the Desert Lynx, but doesn’t have the ruff around the face like a lynx. Even though they look like a relative of the Lynx, they are actually not related to them. 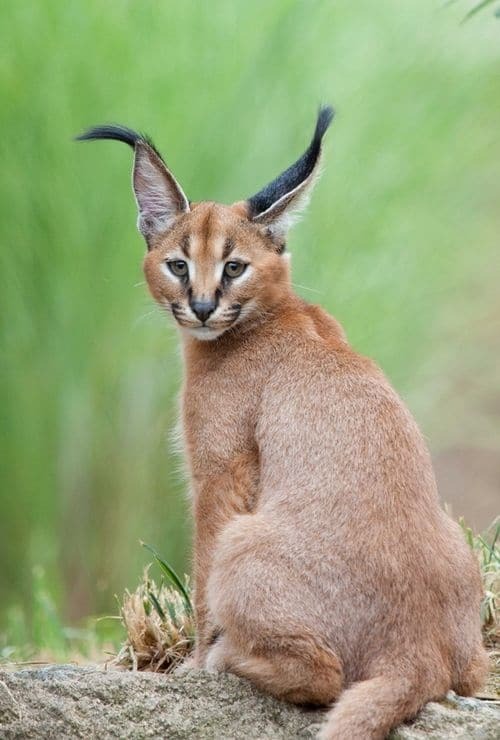 The name Caracal is derived from a Turkish word “Karakulak”, which means black ear. Their slender body is the most suitable to survive in the dry areas. They are found in the dry desert regions of Africa, Central Asia, India and the Middle Eastern regions. This cat species breeds have their habitats in the rocky bushes, overgrown areas, savannas, scrublands and the hilly semi-desert regions. These are medium-sized cats growing only 3 feet long. They have large ears with tufts of fur at the tip of the ear. 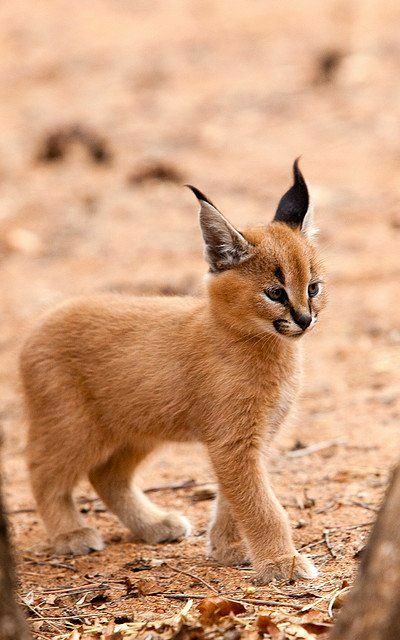 The Caracals have the cutest ears among various cat species breeds. This unique shape of the ear allows them to pick up sounds from long distances. Caracals are carnivores animals and have very strong jaws to dig into their prey. 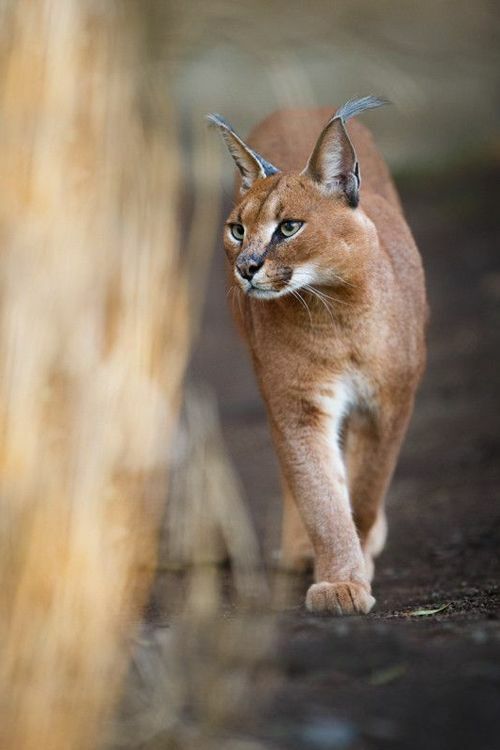 During the summers the Caracals hunt after dusk and they usually hunt in the day during the winters. Since this species of cat is a loner, they also tend to hunt solitary. Caracals are picky eaters and are known to discard the internal organs of their prey and partially pluck the fur off the small herbivores mammals like hyraxes. They tend to avoid hair, by neatly cutting the skin and eating only the meat. They are tolerant to rotten meat and often eat the feathers of small birds. They hunt down rodents, hares, and large mammals like gazelles, antelope and even small ostriches. Caracals can survive without water for longer periods and they meet the water requirements from the body fluids of their prey. They are skillful hunters and can easily bring down their prey in just one leap. 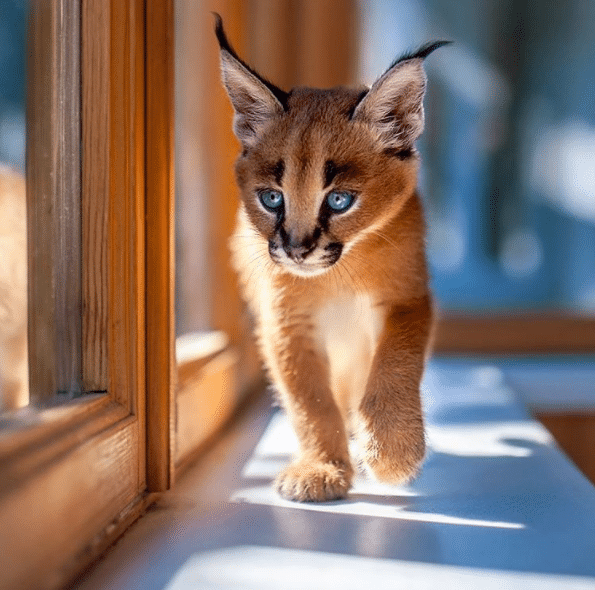 Caracals are skillful hunters and will utilize their strong hearing and vision skills to stalk their prey for a longtime before they capture it with a quick leap. They kill small preys by biting the back of their head. If the prey is large, then it kills them by biting their throat. 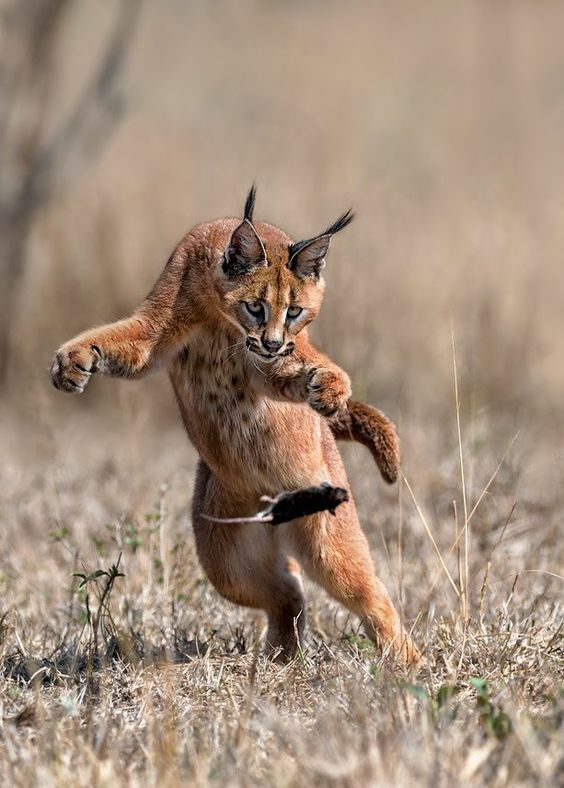 If the prey is too large and the caracal wants to eat the remaining for later, they tend to carry the prey on to trees for hiding, a very similar technique followed by the leopards. This protects their food from any other predators. 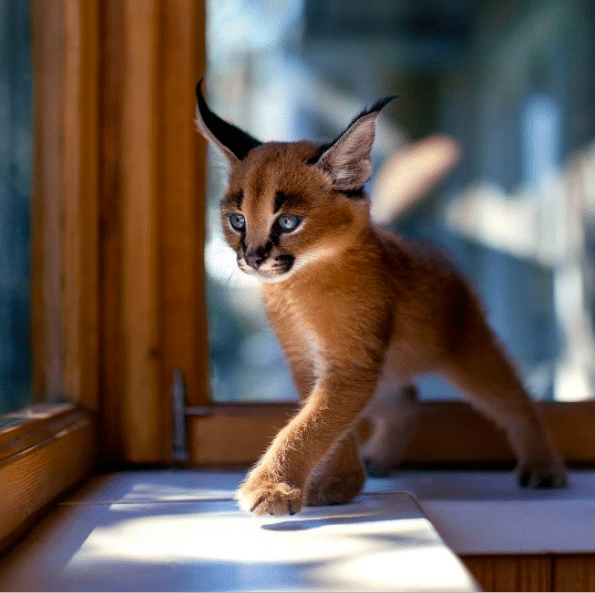 Caracals are faster as compared to other species of cats. They can reach a speed of 50 miles per hour. 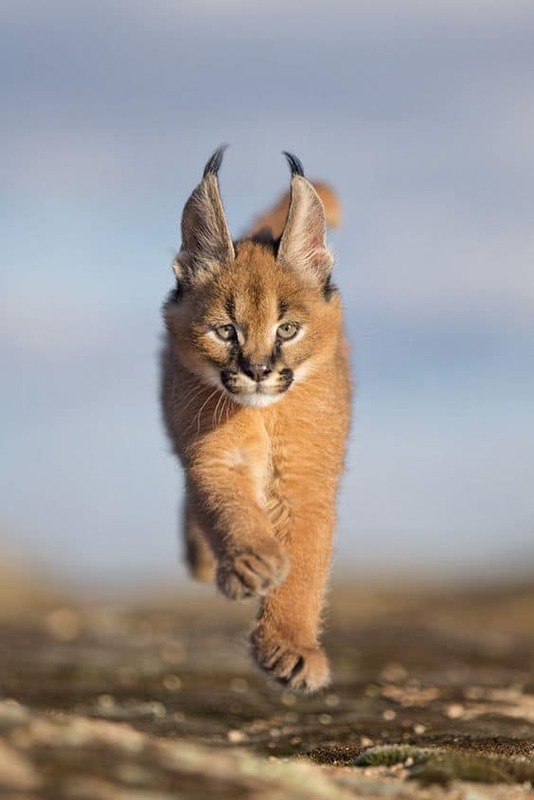 The Caracals hind legs are longer than the front legs making them fast hunters. They don’t chase their prey like lions, instead stalk and sneak up on the prey. They can jump as much as 10 feet above the ground with a lot of ease. This cat species can outrun animals like ostrich and antelopes. They are not afraid to attack animals three times bigger than its size. 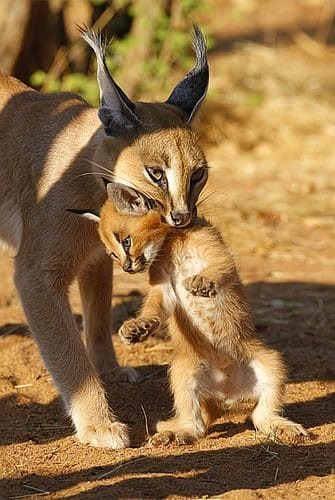 Caracals are good hunters. 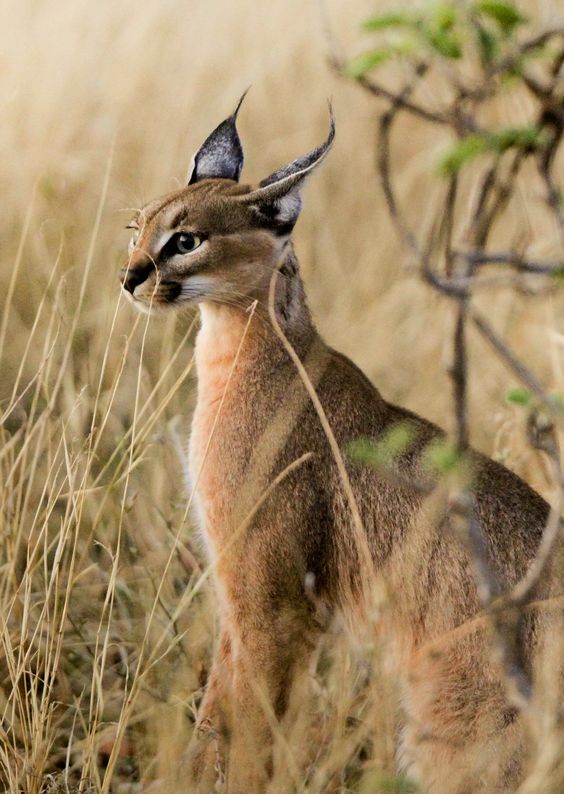 In countries like Iran and India Caracals are used extensively for hunting because these cat species breeds are easier to tame. Its speed and agility makes these cats an able hunter. In countries like India, they were put into arenas containing flock of pigeons and wagers were made as to how many the cat can take down. This led to the birth of the expression “to put the cat amongst the pigeons”. 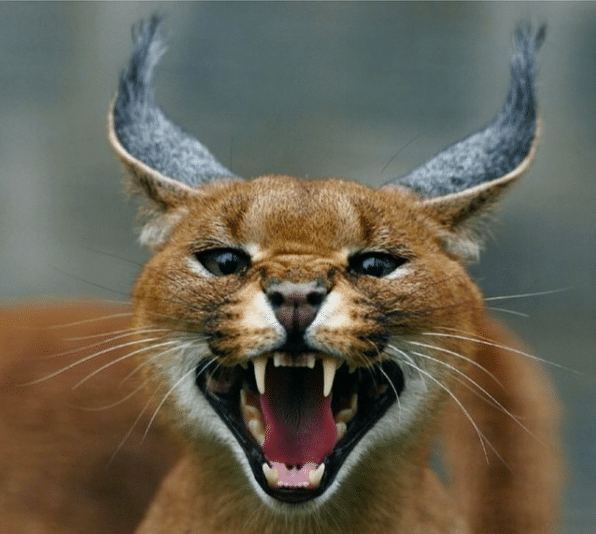 With a single leap a Caracal is capable of knocking down 10-12 birds at a time. 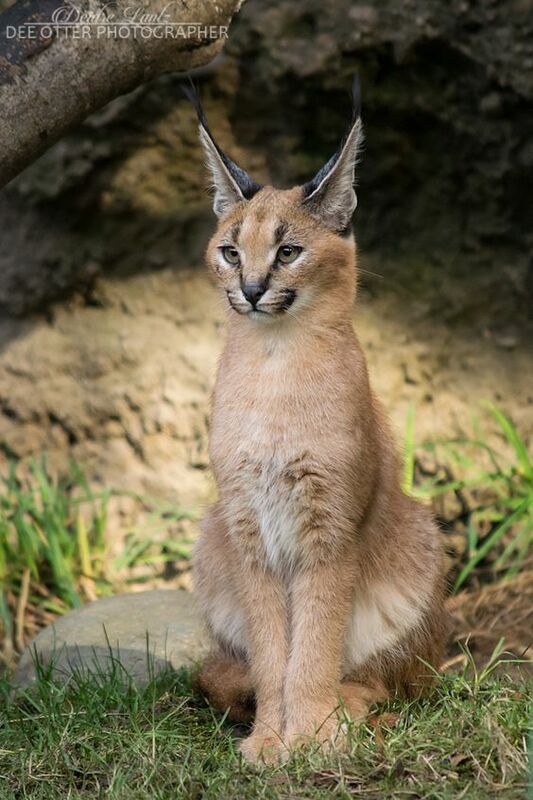 Caracal is a solitary cat species. They are a nocturnal animal, which means these cats venture out only at dark during the summers and hunt during the day in the winter months and in protected areas where they are unharmed by humans. They try to stay away from human habitation. These are shy animals and love to live alone except when they are finding their partners for mating. 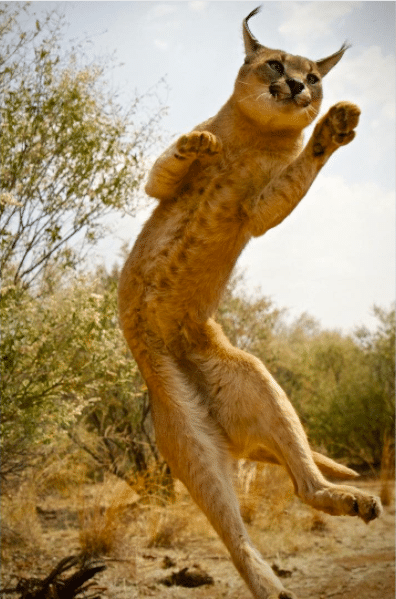 A fully grown caracal can jump 16 feet high in the air to catch their prey. In a single leap a caracal can bring down more than 12 birds without any great effort. 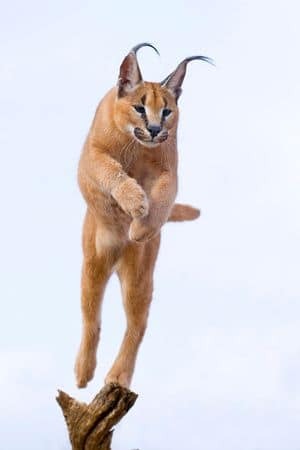 To enable this, the Caracals are equipped with strong and long hind legs that allow these cats to leap so high in the air. 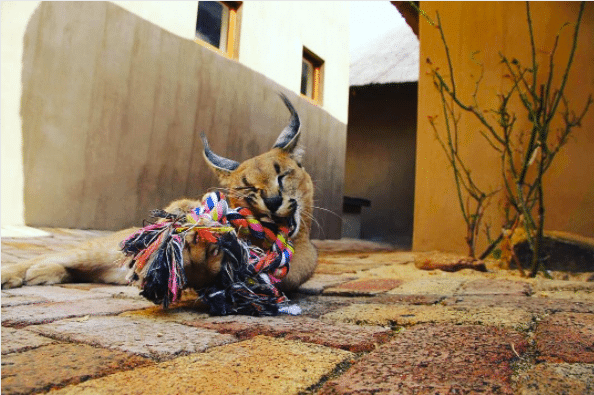 Due to this skill, Caracals were kept in captivity to entertain Persian royalty in the past. 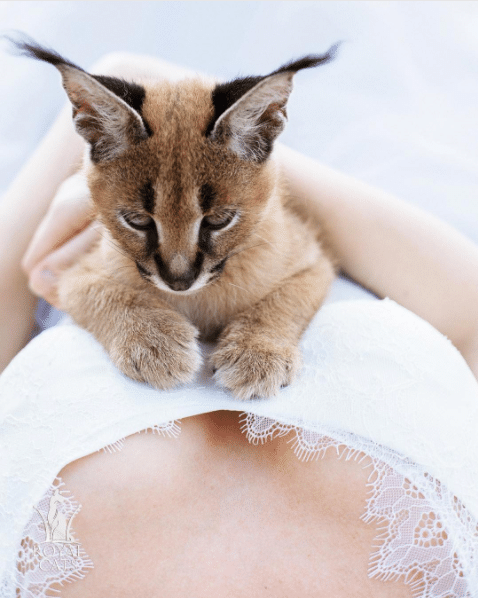 Caracal’s pregnancy lasts for 78 to 81 days. The litter size ranges from 2 to 6 kittens. The kittens are born blind and often open their eyes after 6 to 10 days of birth. For the initial 10 weeks, the kittens are fully dependent on their mother’s milk. The young ones will continue to stay with their mother until they are a year old. 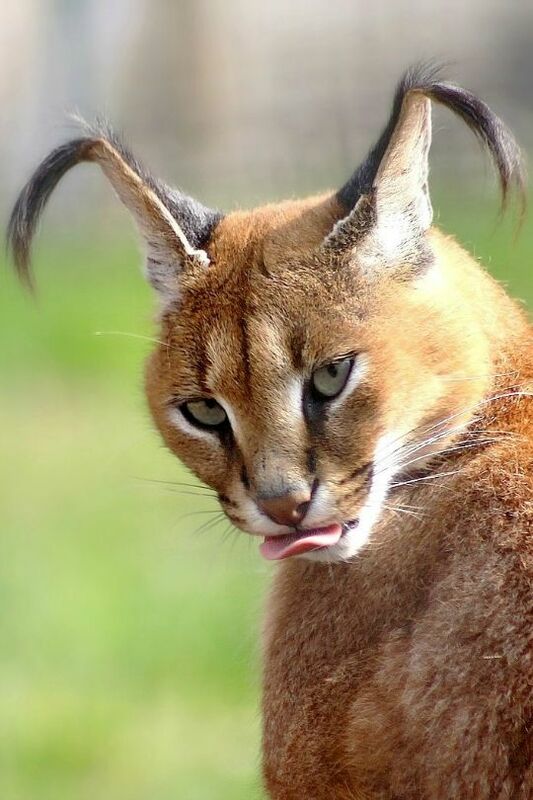 Caracals reach full sexual maturity by 12-16 months of age. In captivity the Caracals have lived for 19 years and up to 12 years in the wild. 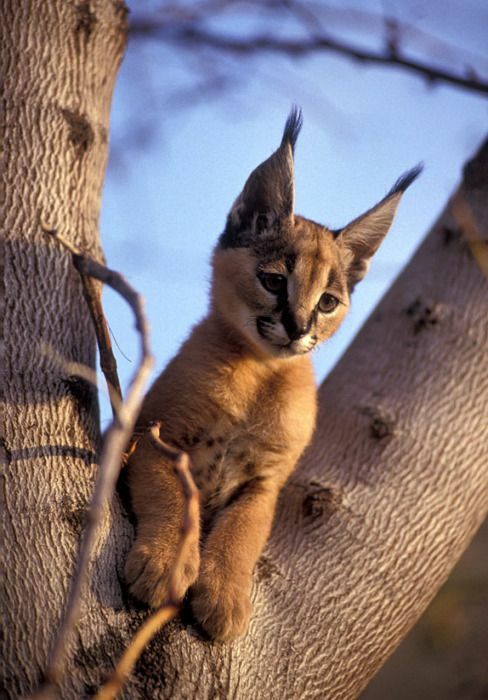 The Caracals are often called Desert Lynx, but the Caracal does not possess the physical characteristics of the Lynx. It doesn’t have the characteristic ruff of hair around the face and it has short and dense coat. The coat is generally uniform, tawny-brown to brick-red and black colored cats have also been recorded. The backs of the ear are black in color and topped with long and black tufts that are 1.75inches long. The tuft is the only characteristic they share with the lynx family. 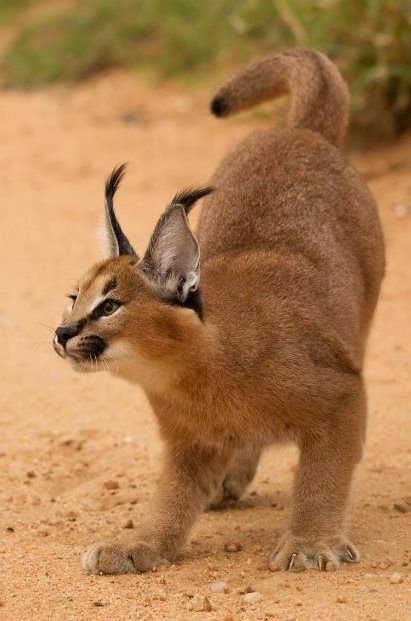 The Caracals are the largest amongst the small cat family found in Africa. 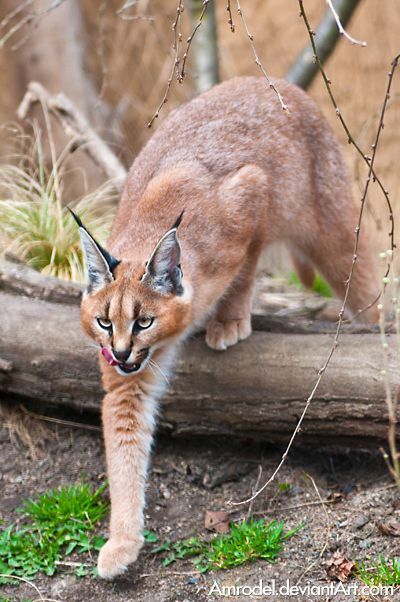 Male Caracal can weigh 40 pounds and the females as much as 35 pounds. These species of cat are 35-39 inches long and stand between 16-20 inches at the shoulder. 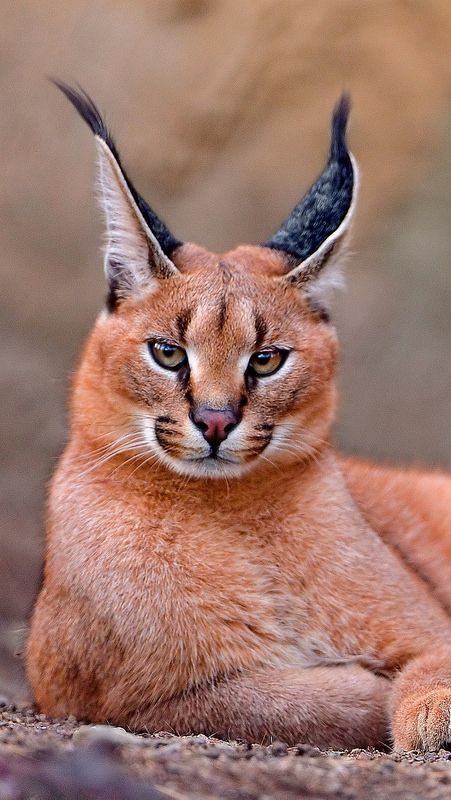 The Caracal is usually identified by their robust body, long legs, short face, long canines and long tufted ears. Caracals are extremely vocal animals. Vocalizations include growls, snarls, purrs, hisses, meows, and coughing calls. Vocalization sounds are used generally to call their partners. 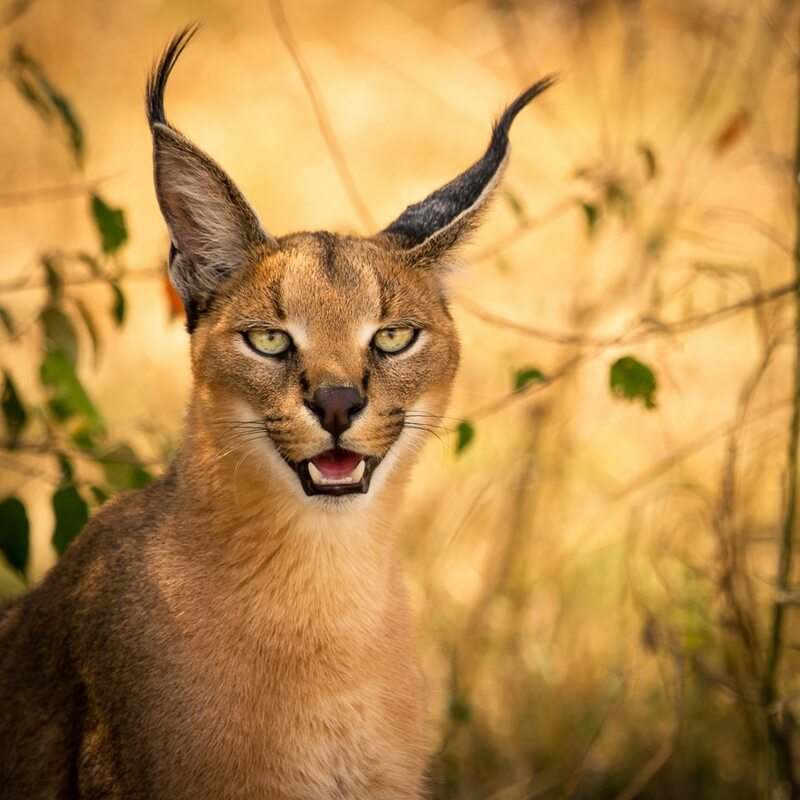 Caracal has an excellent sense of hearing. The long and sharp tipped ears with long hair allow this cat to hear sounds from very long distances. This helps them become able hunters. 20 muscles move the ears in various directions and enable them to adjust the position to collect even the slightest of sounds in the woods. 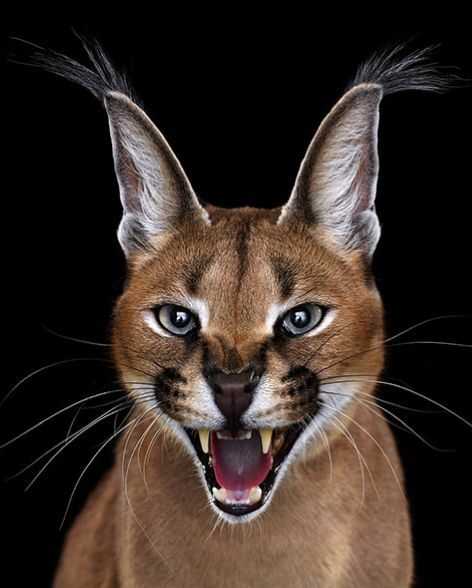 Caracal is a solitary and territorial animal. The size of their territory depends a lot on the habitat. The habitat can range from 5 to more than 1000 square miles. They tend to mark their territory with urine and sometimes with dung, which is usually not covered with soil. The territory of males typically overlaps the territory of few female cats. They mainly live alone or in pairs. The only group of caracals is that of mothers and their kittens. 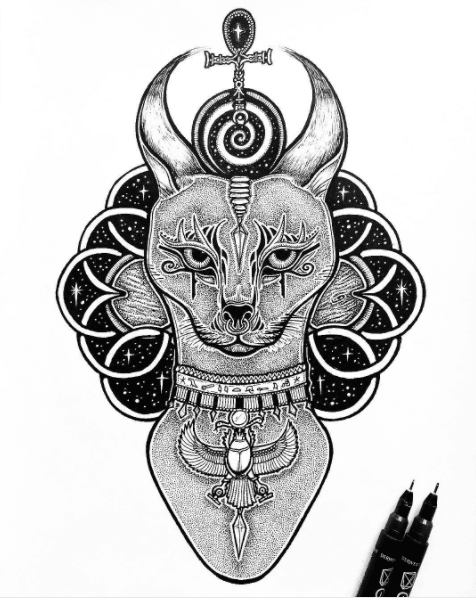 In ancient Egyptian culture, the caracals have been prominently featured. They are found in ancient paintings, sculptures, and various bronze figurines that are believed to guard the tombs of the pharaohs. 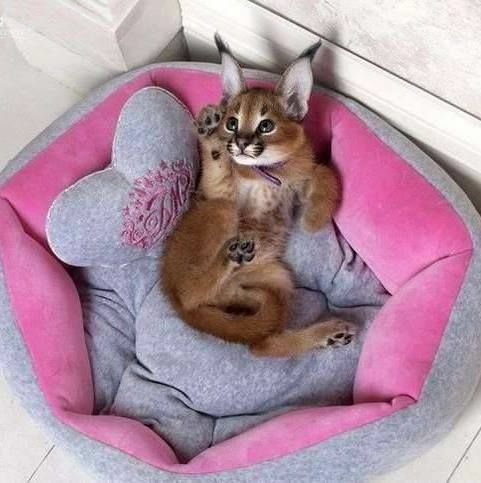 Embalmed Caracals have also been found. 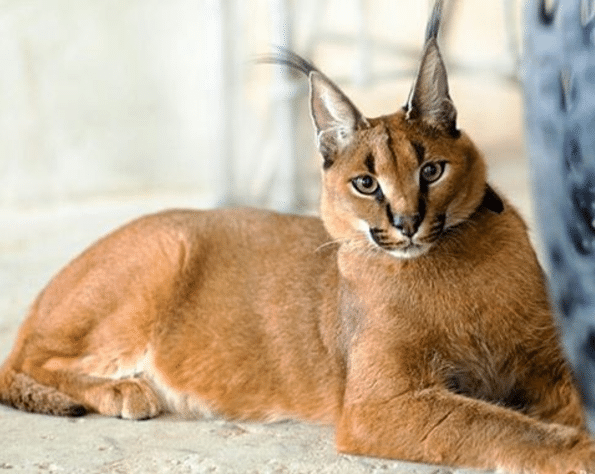 Even in China, various emperors have used Caracals as gifts. The number of Caracals in the wild is not known. They are a threatened species of cat in Asia and in North of Africa. 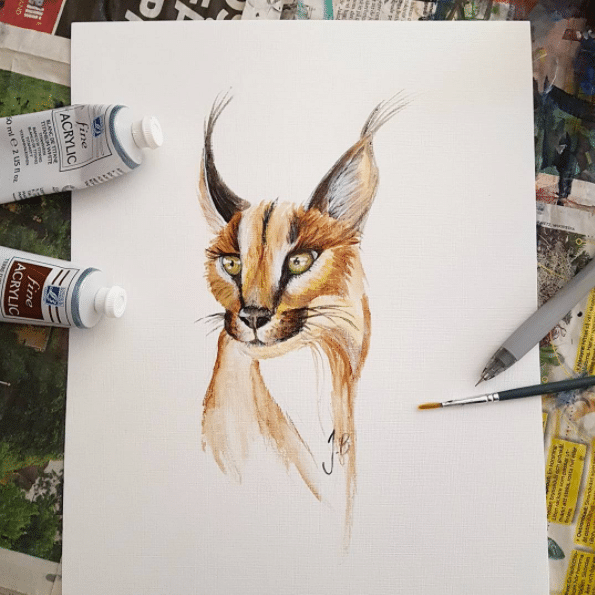 In Central and the Southern Africa these cat species breeds are found in abundance and are often hunted down by farmers as they tend to attack their livestock. Caracals are even hunted for their fur, which is used in making coats, but their skin is of not much economic importance.